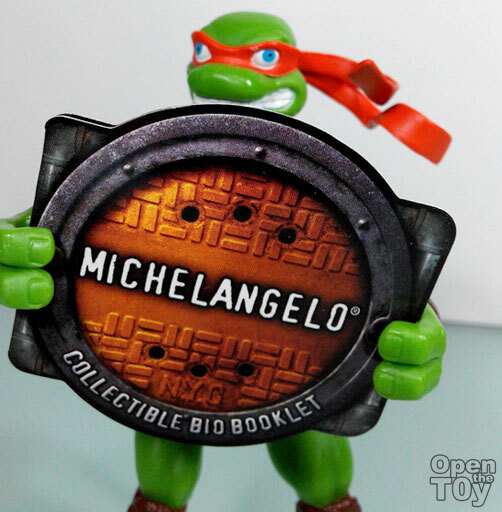 Michelangelo is one of the TMNT that everyone loves. 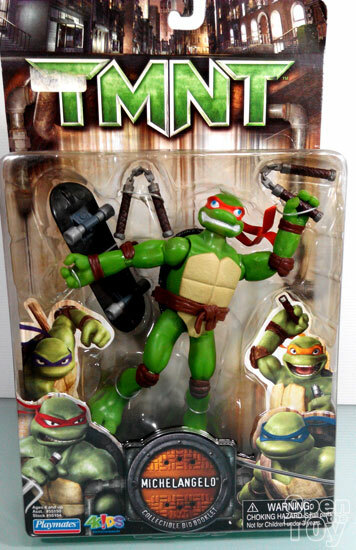 I mean who would say he/she hate Mikey right? 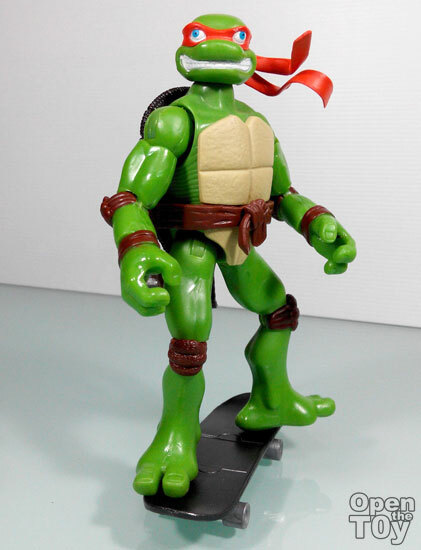 So among the series I was excited for Mikey but this was one that destroy this series of figure. 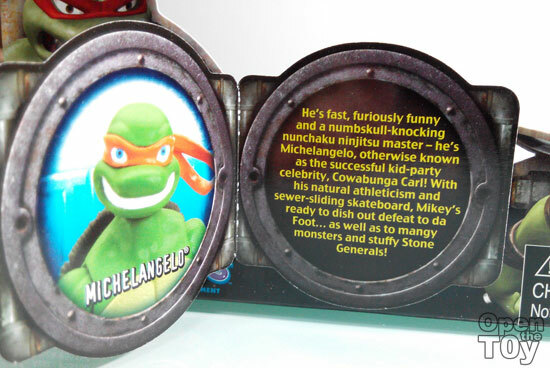 Here is the packaging of the Michelangelo...Notice anything outstanding? Why you may asked? Because of his eyes that determine the expression. 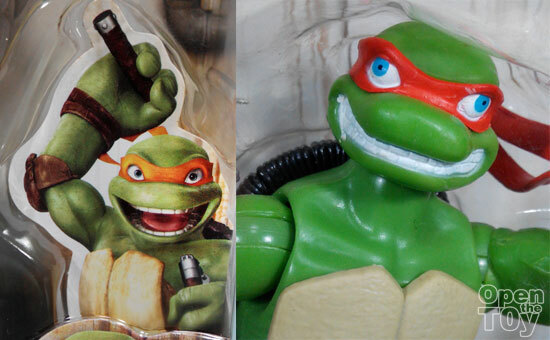 Here's a comparison of the Mikey in the movie and the actual toy... See his eyes? 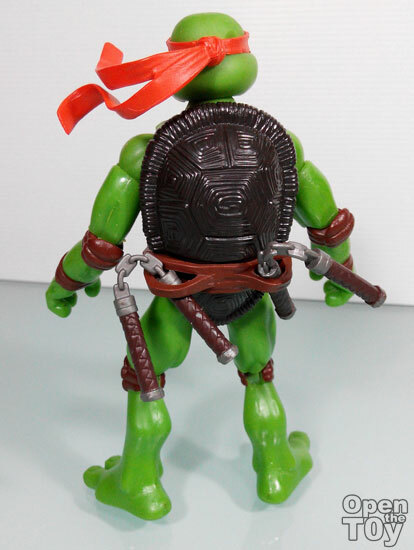 The back look really awesome (because cannot see the silly look of it's face) and the Nunchakus look great hanging at the back of his shell. 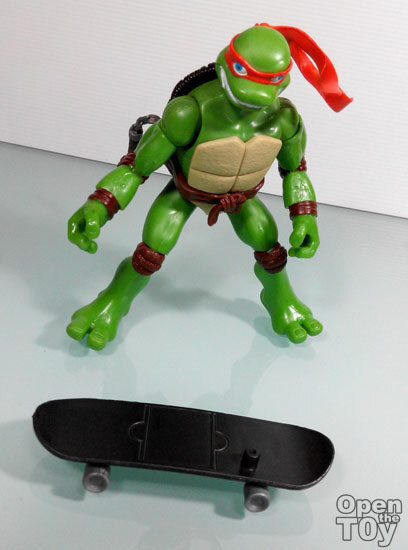 Another accessories that comes with this figure was a skateboard which Mikey love to travel with. At the bottom was as plain as the top. 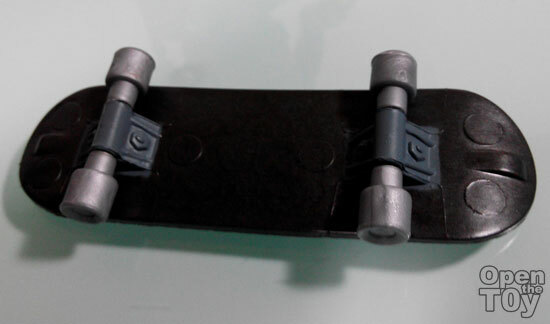 If you must know, the wheels do roll but not as smooth as you expect it to be. 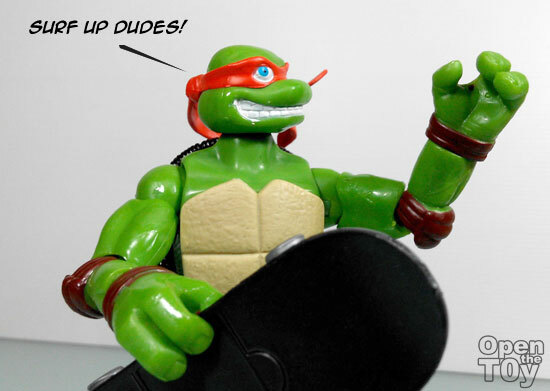 Okay time to get Mikey up on this skateboard! 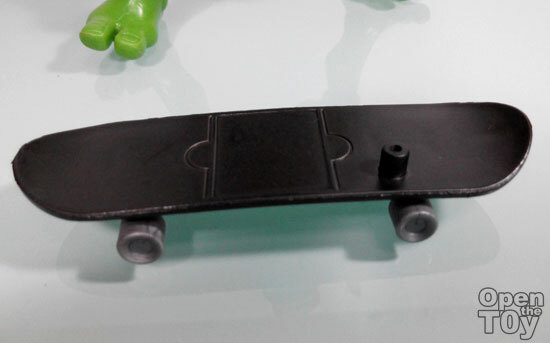 The figure balance well on this skateboard but as I mention, the wheels are not so smooth to roll in particular but allow good balance when standing.,. 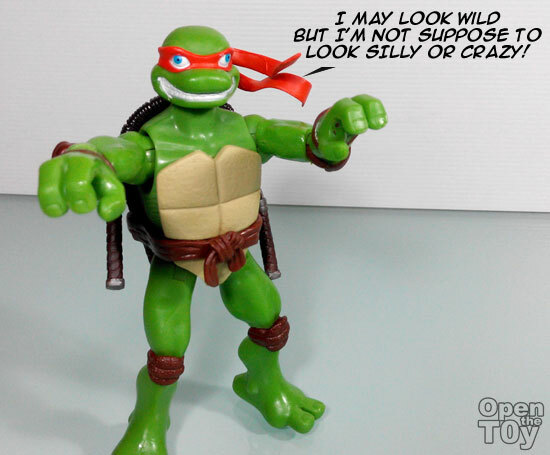 Yes he is not silly nor crazy. 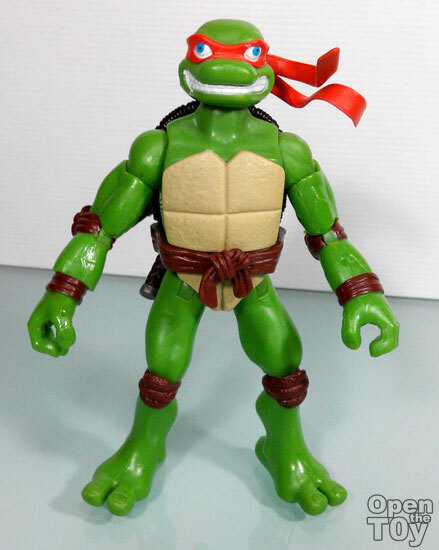 So why did this happen to him? 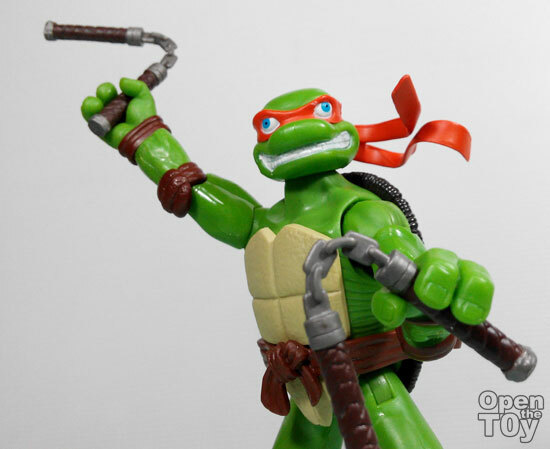 See other in this series review for Donatello , Raphael and Leonardo .